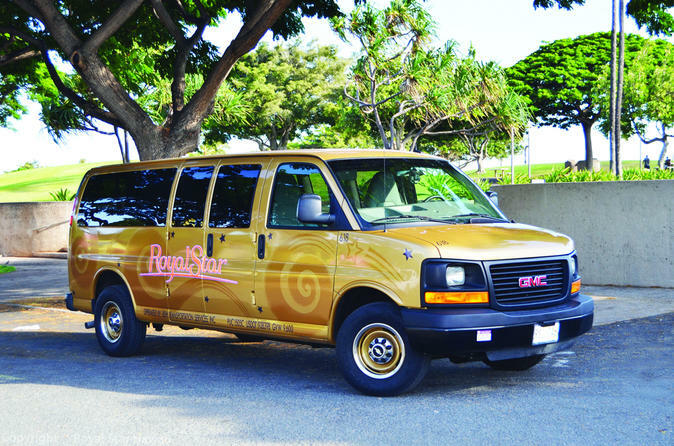 You’ll discover Oahu on this 8-hour Circle Island Tour, from Diamond Head and the Kahala Gold Coast to marine sanctuary Hanauma Bay (closed Tuesdays), natural wonder Halona Blow Hole, lush rain-forest Nuuanu Pali, world famous North Shore surfing beaches, Haleiwa Town, Dole Pineapple Plantation and historic Downtown Honolulu. Stop for lunch wherever you like (no host). Or let us know what you would like to see and we will customize your tour! Go on the shopping spree of your dreams. Discover the North Shore of Oahu and shop along the way! We’ll visit the Dole Plantation, historic Haleiwa Town & shops, and tour along the North Shore. Feel free to add on the world famous Ala Moana Center, Ward Center, Waikele Premium Outlets, Kahala Mall, or more! Let us care for your things while you shop away! Your driver is happy to watch over your items while minding the car. Our professional driver stays with the vehicle to ensure your peace of mind. On this 3-hour tour you’ll visit East Oahu’s most popular and beautiful scenic points, from marine sanctuary Hanauma Bay (closed Tuesday’s) to natural wonder Halona Blow Hole, lush rain-forest Nuuanu Pali, historic Downtown Honolulu and Aloha Tower Marketplace. Our professional and friendly driver will enhance your tour. The passenger van includes seating for up to 14 passengers. You’ll enjoy the mint and hand towelette service, air conditioning with front and rear climate controls, large panoramic tinted windows, DVD player with flat-screen monitor and the highest safety standards with seat belts and a professional driver / guide.